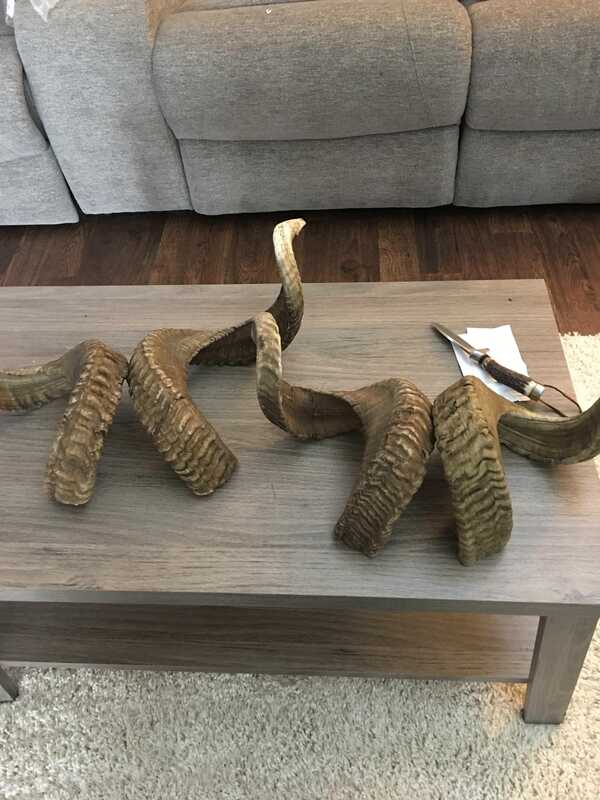 Aside from tracking down my own ram or finding some at a garage sale, where can a guy get a set of horns? 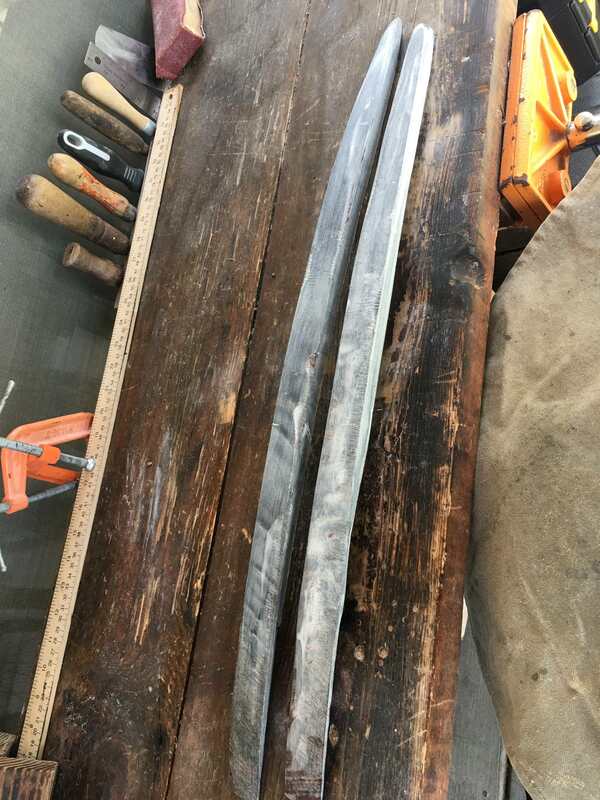 In the process of selling the house and moving so it might be a week or two before I cut into them but in the mean time I have these water buffalo billets I’m working on to pass the time. A fun project for you Bryce.It's good you like to play games.Horn does too,but I'm always amazed by the capabilities of horn.With the attention to detail you put into bows you'll like this project.Be sure to show the results. Are those big horn horns or mouflon? Do you use this surface? Thanks man. Should be fun. Not looking to build a replica. Just a bow the way I instinctively feel I should. Well we have both here in Oregon. Chased a few mouflon along the crooked river canyon last time I was there. Not as skiddish as you would think. Got within 20 yards in plain site before they decided that was close enough. As far as I know they are California trophy bighorns from south of me. I FaceTimed the distributor to make sure the marks on the set where superficial. And they are. Super solid set. Should be a fun dance. Hate to be the one to tell you this Bryce but those are domestic Sheep horns. Nice ones at that. I never had the courage to attempt a bow with that much twist in the horn. I have no doubt you'll turn those into a bow. Good luck! I'll be watching. All I know is what I was told. Doesn’t bum me out, To me horn is horn. I specifically asked what species Bc the curve didn’t look right to me, nor the width but the young gentleman seemed positive. Either way. The animal was on a ranch or farm environment. The sheep I used the belly lam my oceanspray bow was about like this couple inches shorter. And that was horn I got from one of my own sheeps, who didn’t make it through the winters poor old fella. Didn’t take too much extra hot water for them to submit. I’ve seen your vids chuck, very well done. I understand why you use the horns you do. Definitely less of a pain. I wasn’t lucky enough to find a set like that. Plus these where $45/pair. Corsican sheep horns or a close cousin,.texas dall, black hawaiian , painted desert,etc I have no doubt. I have stuffed a bunch of all varsity’s. Mouflon have deeper curls like a bighorn. Corsican have the tight ,longer twisty horns. I be watching this one. Hey good to know! Thanks.